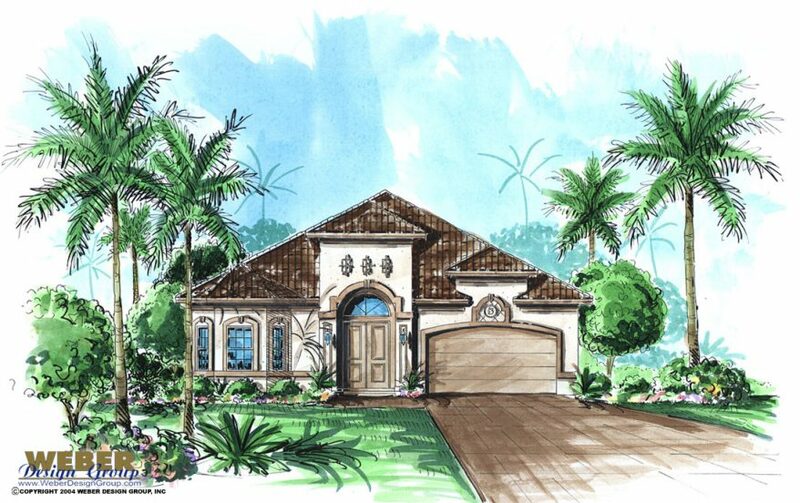 The Marbella I House Plan feels much larger than it’s 2,547 square feet of living space and the Mediterranean house plan has a compact footprint that will fit on a narrow coastal lot. 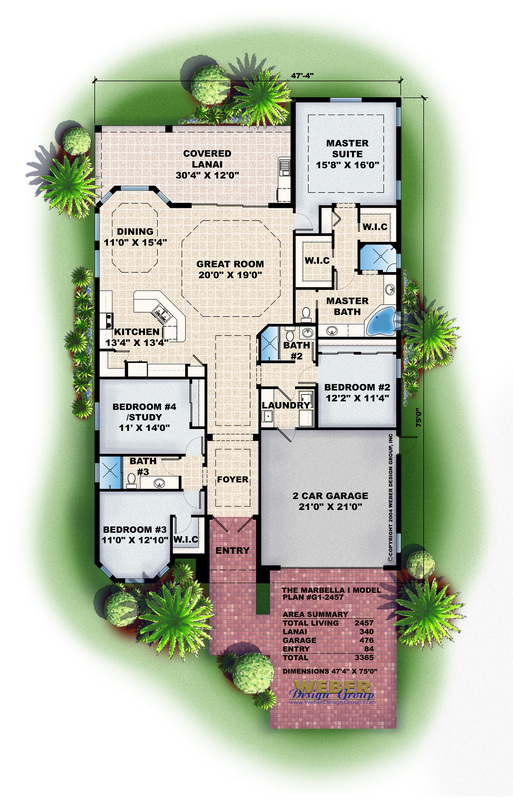 With four bedrooms and three full baths, this house plan is perfect for the busy family. The functional kitchen is open to the great room and dining area. Abundant glass framed views of the lanai bring the outdoors and allow sunshine to stream through to the foyer. The large covered lanai complete with an outdoor kitchen offers a wonderful outdoor entertaining space. Ceiling Height: 17' 10" - 18' 10"